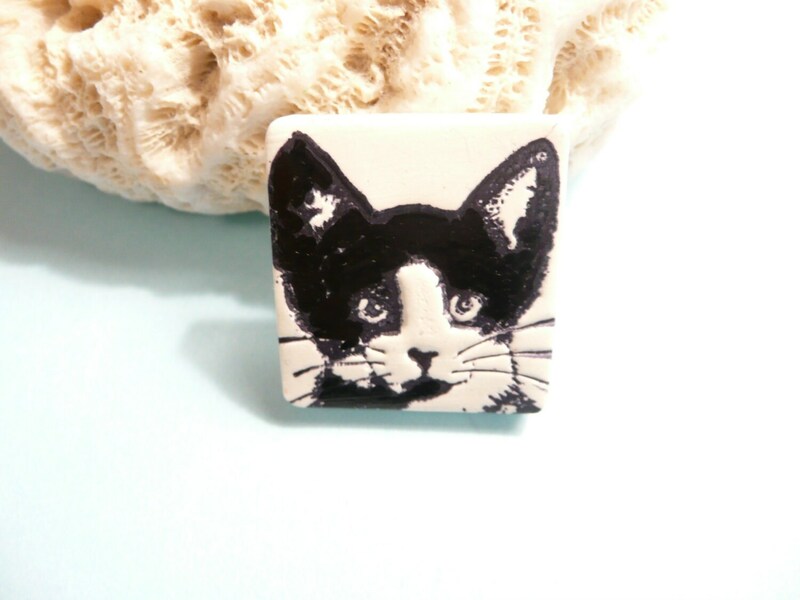 A small lightweight square Tuxedo Cat Pin (brooch) features a stamped image of a tuxedo cat face. Handmade of white polymer clay, stamped with black ink and sealed with glossy acrylic varnish. Measures about 1" x 1" (2.5 x 2.5 cm). Finished with a pinback with safety clasp. Handmade to order, may vary slightly from ones pictured. =^..^= Each Artsy Clay creation is handmade with love and approved by Grandcat Seamus. Would you prefer this design as a PENDANT?